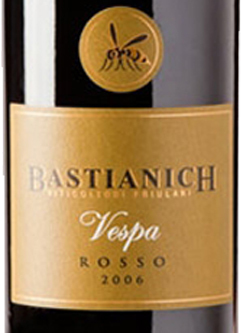 The Vespa Rosso Venezia Giulia IGT, Cru range, by Bastianich outstanding business redesigns power and sophistication through the clever combination of native and international varieties. Let it mature for at least 18 months in barriques, it is able to express itself at its best immediately but also after several years of aging. 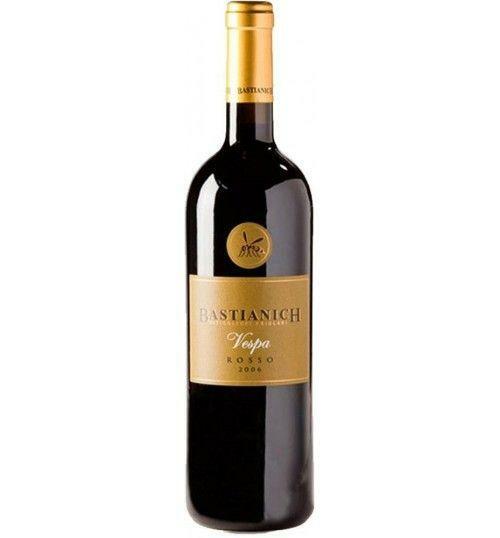 THE COMPANY The Bastianich Winery, founded in 1997 consists of 35 hectares (90 acres) of vineyards. All of the vines are in the Friuli Colli Orientali DOC area in 2 distinct climatic zones. THE FAMILY The deep connection of The Bastianich Family stretches back decades and generations. From early connections with the greatest winemaking families in the 1970s and 1980s, to the promotion of the finest wines Friuli had to offer in their Family Resturants in New York City and beyond... Culminating in the realization of a dream to create great wines of longevity and complexity in their own vineyards. The Bastianich Family has been one of the greatest supporters of Friulian wines in the United States and around the world. THE FRIULI'S ORIENT RIVERS A cascade of vineyards terraced by the millennial tradition The history of this land has deep roots. Viticulture in this region is practiced from the 2nd century BC , With the advent of the Romans who first planted the vine. The millenary tradition, the particular clayey-brown ground called "ponca" and the numerous microclimate created by the winds of the Julian Alps and the proximity to the Adriatic Sea make the region of the Eastern Collies of Friuli one of the most sought after in Friuli Venezia Giulia. These unique features allow the wines of this Doc to be particularly elegant and mineral, with a decisive character that communicates entirely the terroir. THE VINEYARDS Acquired in 1997, The Bastianich vineyards are unique in their varied position and microclimate. The original vineyard, located in the communes of Buttrio and Premariacco, lies in the warmest, southernmost zone of Friuli Colli Orientali. These terraced vineyards are warmed by the heat of the Friulian plains and the Adriatic sea. Re-planted and re-terraced in 2000-2002, these vines are at the height of their quality and production, providing the grapes for our greatest cru wines; Vespa Bianco, Vespa Rosso, Plus and Calabrone. In Cividale, 10 miles to the north and coooled by mountain breezes, our vineyards here produce the grapes for the fresh, aromatic wines of the Vini Orsone line. THE "PONCA" The "ponca" is the characteristic feature of this hilly territory of eocenic origin, the Collio, almost entirely made of clay marl ("Ponca" in Friulian language) alternating with sandstone layers (calcified sands). It is rich in limestone, potassium and phosphorus and poor in organic matter, easily alterable in the presence of atmospheric agents, it quickly crumbles, changing from the original gray to blueish-gray color to becoming clayey soil characterized by good retention water. The sandstone layers, alternating with the marne, have variable composition: generally increases the silica content and proportionally decreases all the other compounds, especially limestone. Before 37,50 € tax incl. Tasting Color: ruby red Scent: great charm characterized by continuous spicy and balsamic notes. Taste: rich, full, elegant, soft able to astonish by balance and finesse. The Bastianich Winery, founded in 1997 consists of 35 hectares (90 acres) of vineyards. All of the vines are in the Friuli Colli Orientali DOC area in 2 distinct climatic zones. The deep connection of The Bastianich Family stretches back decades and generations. From early connections with the greatest winemaking families in the 1970s and 1980s, to the promotion of the finest wines Friuli had to offer in their Family Resturants in New York City and beyond... 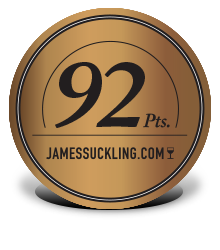 Culminating in the realization of a dream to create great wines of longevity and complexity in their own vineyards. The Bastianich Family has been one of the greatest supporters of Friulian wines in the United States and around the world. The history of this land has deep roots. Viticulture in this region is practiced from the 2nd century BC , With the advent of the Romans who first planted the vine. The millenary tradition, the particular clayey-brown ground called "ponca" and the numerous microclimate created by the winds of the Julian Alps and the proximity to the Adriatic Sea make the region of the Eastern Collies of Friuli one of the most sought after in Friuli Venezia Giulia. These unique features allow the wines of this Doc to be particularly elegant and mineral, with a decisive character that communicates entirely the terroir. Acquired in 1997, The Bastianich vineyards are unique in their varied position and microclimate. The original vineyard, located in the communes of Buttrio and Premariacco, lies in the warmest, southernmost zone of Friuli Colli Orientali. These terraced vineyards are warmed by the heat of the Friulian plains and the Adriatic sea. Re-planted and re-terraced in 2000-2002, these vines are at the height of their quality and production, providing the grapes for our greatest cru wines; Vespa Bianco, Vespa Rosso, Plus and Calabrone. In Cividale, 10 miles to the north and coooled by mountain breezes, our vineyards here produce the grapes for the fresh, aromatic wines of the Vini Orsone line. The "ponca" is the characteristic feature of this hilly territory of eocenic origin, the Collio, almost entirely made of clay marl ("Ponca" in Friulian language) alternating with sandstone layers (calcified sands). It is rich in limestone, potassium and phosphorus and poor in organic matter, easily alterable in the presence of atmospheric agents, it quickly crumbles, changing from the original gray to blueish-gray color to becoming clayey soil characterized by good retention water. The sandstone layers, alternating with the marne, have variable composition: generally increases the silica content and proportionally decreases all the other compounds, especially limestone.